When Infrared was born, people thought it would be nicer if gadgets can be connected from a larger distance and data can be transferred faster. Then Bluetooth came into existence filling up the space. Still due to the less connectivity Wi-Fi emerged – yet, the human requirement is unlimited. And now this century is in realms of IoT as communication protocols like Zigbee, Raspberry Pi and many more has revolutionized the world. As per research, by the end of this decade more than 7.3 billion tablets, smart phones and PCs will be more deeply connected and can expand at a rapid rate to 26 billion across the globe. Thus IoT is whirling up at the lightning speed around the five fundamentals i.e Sensor Technologies, Local Processing, Networking models, Data Science and Predictive Technologies, Machine learning and Security. Smart Phones: Gateway to the IoT and serves as a warehouse for connected homes, health, car etc. Fitness device are used increasingly. Augmented Reality can make the physical reality more responsive- alias it can make our surroundings digitized and interactive creating the possibility to overlay the artificial world around us on the real world. For Instance: Most hyped game Pokémon Go. When it comes to enterprise, AR is always up with the smart applications in manufacturing industries, automotive industry, health care industry etc. AR is effective in providing the real-time and real world information to the users, where Smart Devices are anticipated to prompt a range of new AR services. In near future, the incorporated AR-IoT technology would turn out to be the face of development in all spheres and make mammoth business value for companies globally. Blockchain and IoT are the two buzzwords which has touched the mountains in providing enhanced security and empowering the incorporation of an increasing number of devices. Blockchain is intended to address this problem by offering solutions that enables the users a realistic, progressive and rapid IoT adoption. It helps in maintaining transparency, thus streamlining the business process. Blockchain enhances data security by making seamless transactions and enhancing supply chain efficiency and increasing saving in IoT industry. Such distributed system will open new transaction scenarios making our planet smarter, more productive and open up a colossal scope of opportunities. Security must be considered in every aspect especially when we rely on connected device to make our lives better and easier. As highly sensitive data is stored in clouds or server which is connected to the internet, security threats becomes evident. Additionally, hackers can have all time access to this data and may use it for wrong reasons. Recent attacks on various companies that have compromised users’ security by making sensitive information available to the hackers demonstrate that security is more important than ever in IoT. 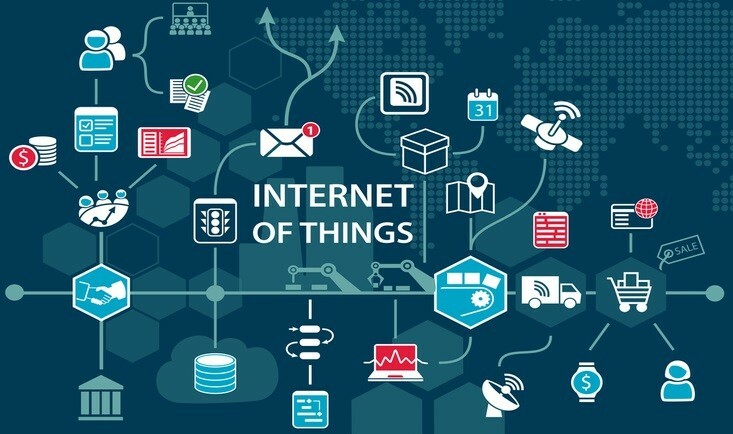 The Internet of Things also covers improved security systems such as CCTV cameras connected to your phone, with a live feed that you can access wherever you are. It also involves helpful devices such as video doorbells, gas sensors that are better at detecting the presence of contaminants, and ACs that heat or cool rooms depending if there are people in it or not. All of these devices can definitely help you keep your business assets safer in a more convenient manner. The real big data IoT means a massive quantity of data capturing, analyzing and using it for real challenge. Big Data came into existence due to the failure to obtain and analyze certain amounts of data within a suitable time array. That provides picture-perfect scenario of how broad Big Data could be. Shopping, healthcare, finance, information… the IoT is wrapped up being the part of ocean that Big Data is. From data to information acknowledged from users, the array of data with which it works is all interrelated. This data is fed into IoT algorithms to deliver insights into business. What Business Opportunities Does Eddystone Present? Why Should Your Small Business Have a Mobile App?